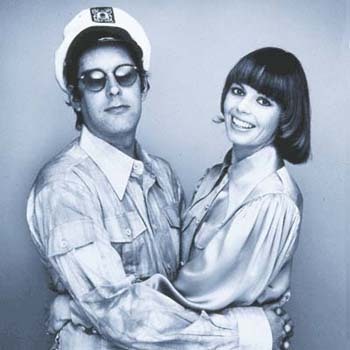 I grew up listening and singing along with the Captain and Tennille. Their music had a way of sticking in my head even when I didn’t want it too–“I will, I will, I will…” See? On January 16, 2014, after 39 years of marriage, Tennille filed for a divorce from The Captain, and sadly it took him completely by surprise. That’s all we know. He said he has to figure it out by himself first before he can give a statement as to why Tennille left him. How sad to be in your early 70’s only to discover your partner for life is calling it quits. Why? What could cause this unhappily ever after? It could be The Captain’s chronic illness. He was diagnosed in 2010 with a debilitating health problem which has impaired his ability to play his music. It could be the retirement years could no longer allow them to ignore the unresolved conflicts between them. It could be it wasn’t love that held them together, but music. And when the music died, so did their marriage. Love isn’t what holds a marriage together. It’s marriage that holds our love together, because our feelings of love can come and go as the years pass. If the feeling is what we depend on, we will think it hypocritical to stay together if the feelings are gone no matter how many years are behind us. But when we embrace our marriage covenant, we’ll stay committed in good times, in bad times, when the music plays on and when it fades. We’ll be there for our spouse no matter the cost because a covenant is only broken by death. My heart breaks for The Captain and Tennille. It’s hard enough to bear the break-up of a marriage, but to do it in front of adoring fans must be even more painful. We pray they will find a path to reconciliation, but if they don’t, may we learn from their experience. This entry was posted in Aging, Christian Marriage, Conflict, Growing Strong Marriages, Seasons of Life, The Gospel & Marriage and tagged Christian views on divorce, Divorce, Divorce of The Captain And Tennille, Love Will Keep Us Together, The Captain and Tennille. Bookmark the permalink. Thanks Debi! This is a great reminder and encouragement to us all, no matter how many years we have been married. I know, Aubyron, I feel the same way. We’re never beyond our need to be reminded of what we vowed in covenant to our spouse. The Capt. and Tennille are proof. So sad. I saw that story trending on Facebook and purposefully didn’t seek our confirmation. I didn’t want it to be true! *sigh* Heart-breaking indeed. I know, J. It breaks my heart esp. after I read what little facts there are out there. To be in need and left alone would be horrible. I’m praying for them and hope others will too. So very sad for them! All those years together. *sigh* Thank you for your inspirational encouragement to tie along with their story. You are so right. I was sad for them too. really isn’t it just as easy to stay together and figure it all out? don’t the marriage vows say ,.. for better or worse, richer or poorer,,, sickness and health till death parts us? Very well said. Thank you for sharing. It does break my heart as I also grew up with their music and absolutely love it. My heart breaks for them. ….and for the many fans who will be effected by it. I linked to your article on my blog this morning. I hope you will take a moment to read it. I have kept myself bound in an abusive marriage for months because I felt the guilt of needing to be there “no matter what” but sometimes, for our own health and wellbeing and that of our kids, we simply have no choice. I do not know the circumstances behind the split of Captain and Tenille but I know it takes two to make any marriage work. We would never encourage someone to stay in an abusive marriage. You alone can determine when a marriage is no longer safe for you or your children. Such a difficult place to be, but God will help you make the right decision for you. It sounds like you’ve done everything possible to help your husband seek the help he needs. We pray our post didn’t add unnecessary guilt to your trouble, for this was never our intention. We are mainly addressing couples who shy away from the hard work it takes to make a marriage strong and one that will last. It doesn’t sound like you’ve done that, but have worked hard on your end. I’m so glad you commented, and that you shared a very important perspective. May God lead and guide you. great post, I grew up listeneing to them blaring from my Dad’s record player. Sad, and more so for him. Will pray for them! It does take more than LOVE to keep us together! 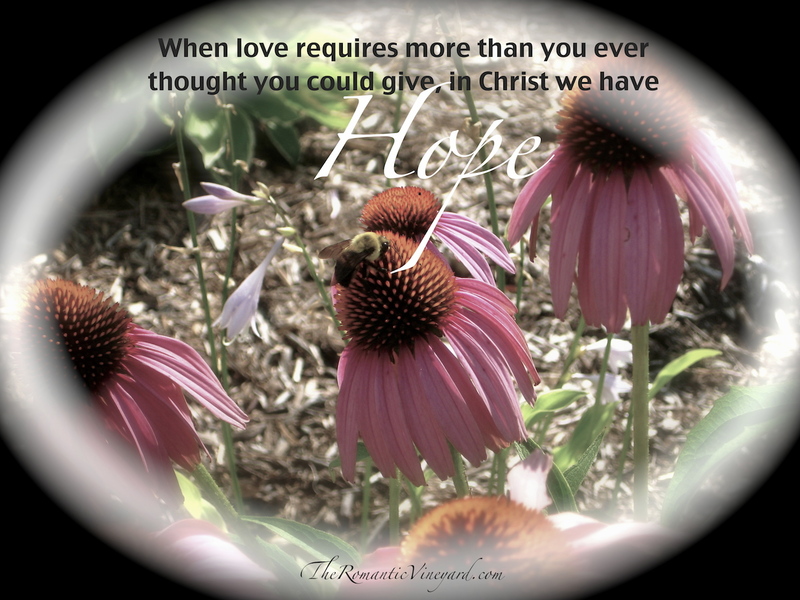 It takes Christ, especially in times when youdon’t know how you can make it. Lots of prayer and it can work!